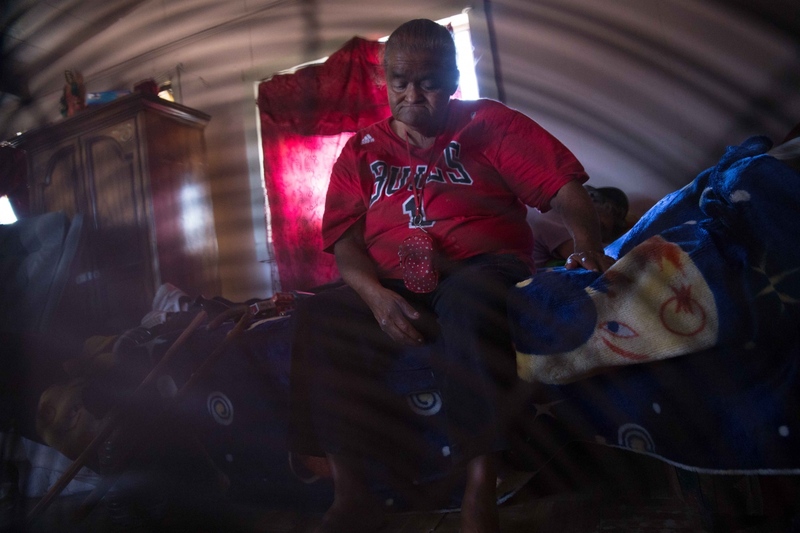 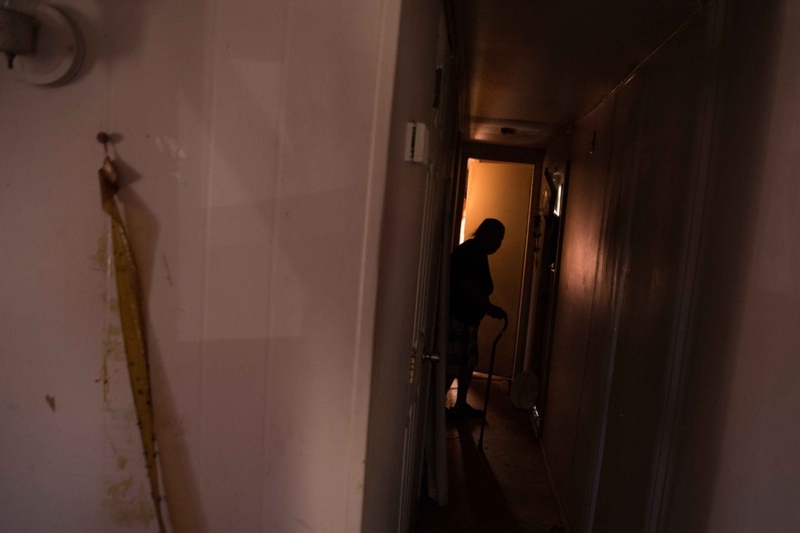 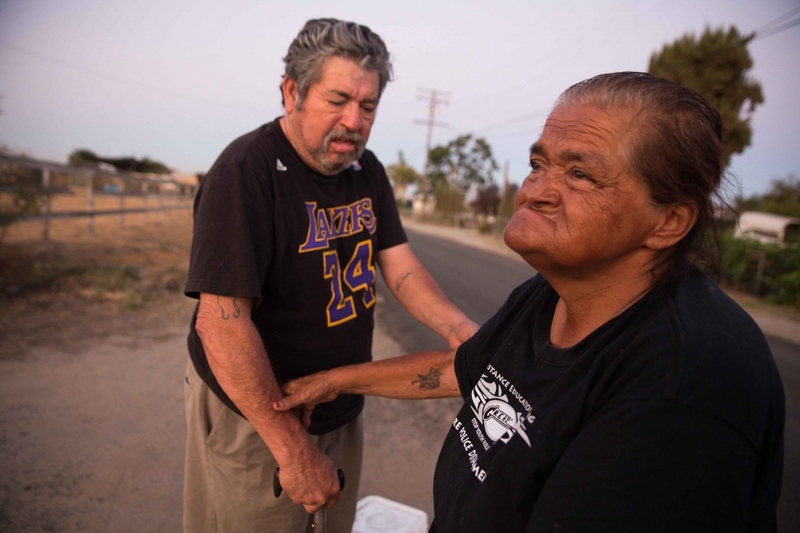 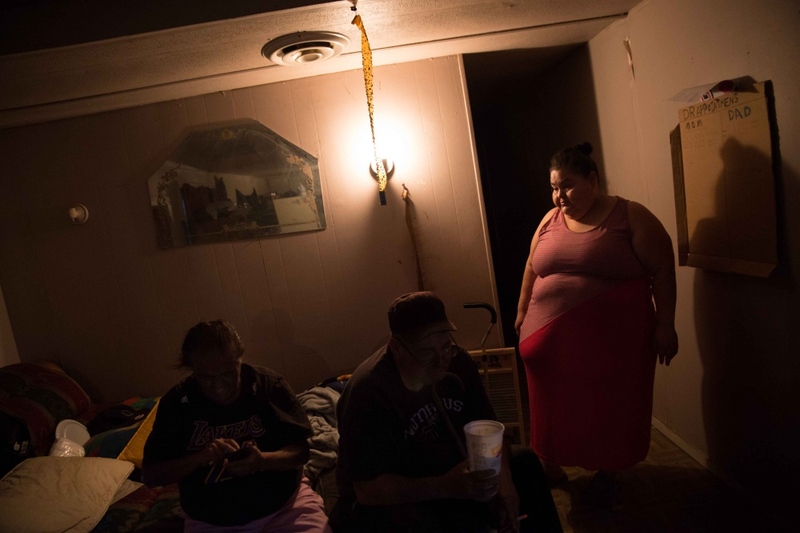 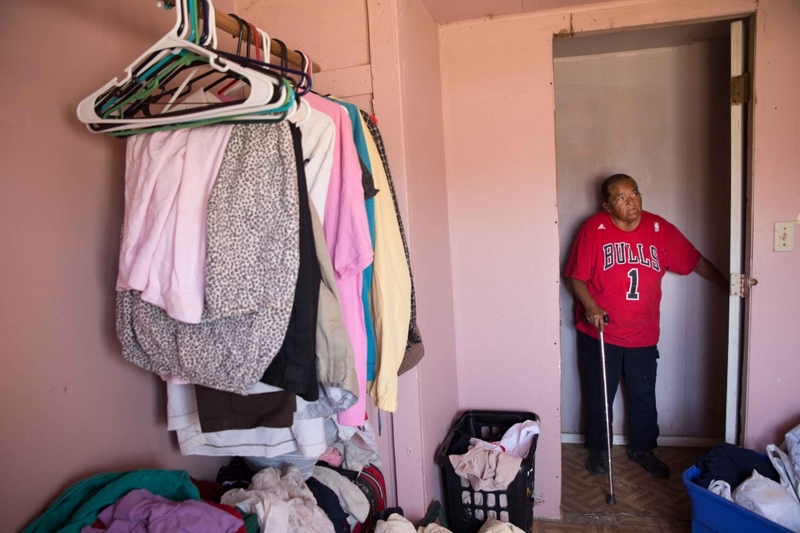 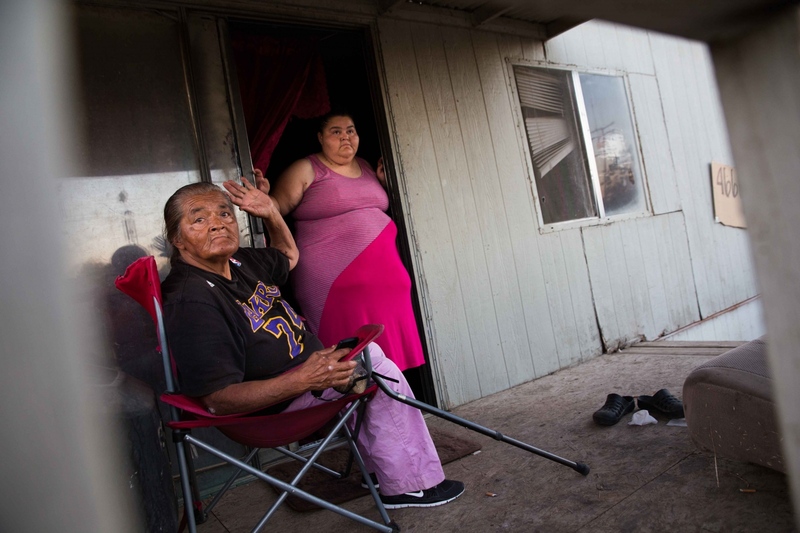 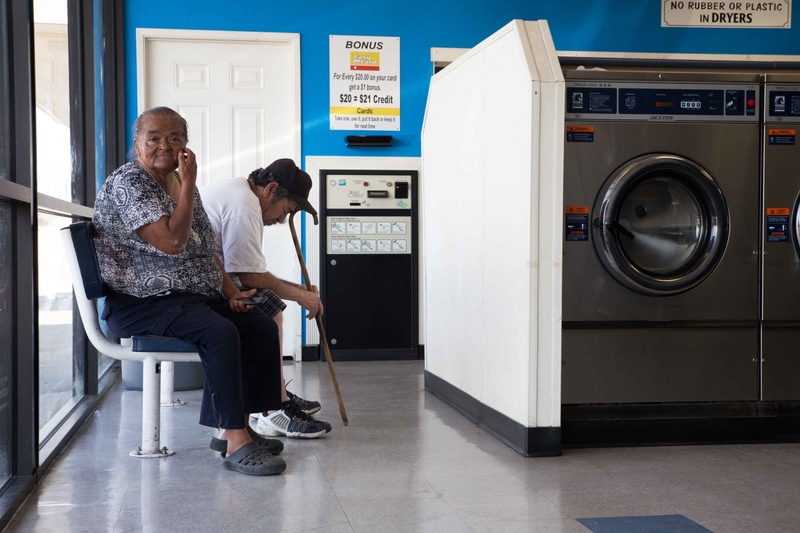 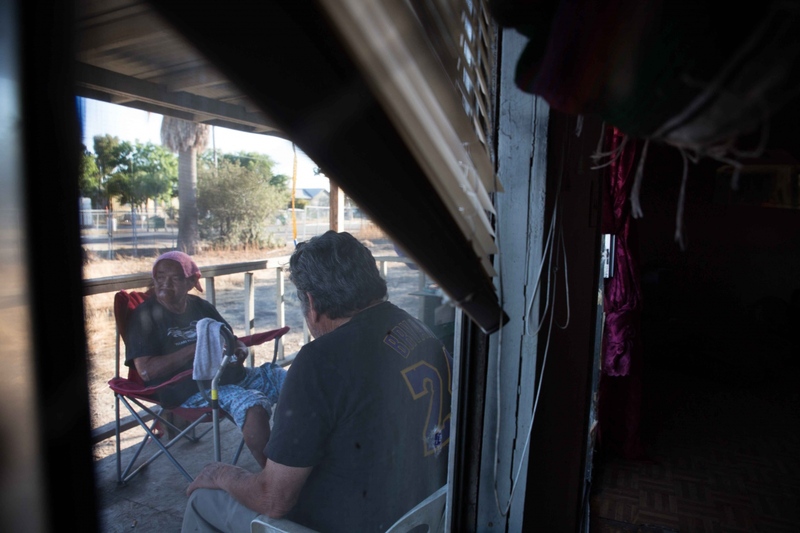 After several months without a home, Hilda Garcia found a trailer to move into with her husband and daughter in a tiny community in California known as Okieville -- but the trailer's well was dry and there was no running water. Hilda and her husband currently suffer from several health problems and the intense summer heat coupled with no running water makes life almost impossible. 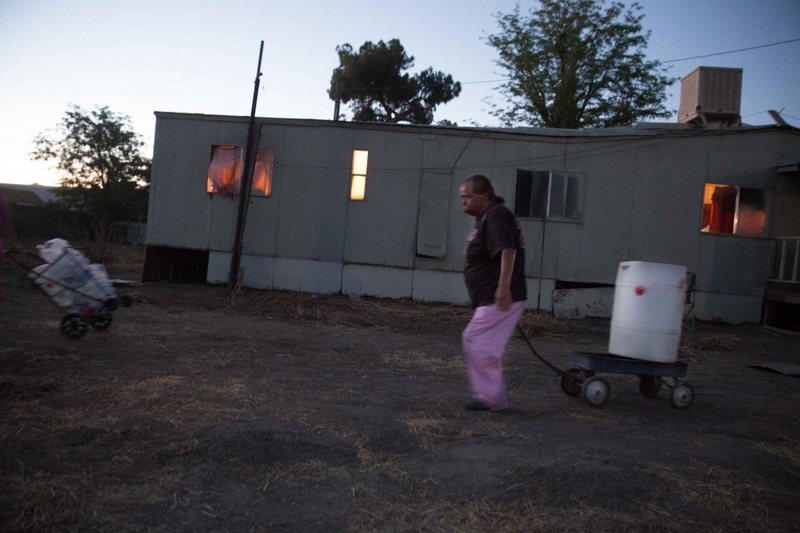 Thousands of wells have gone dry in California's Central Valley owning to the state's five-year-long drought. 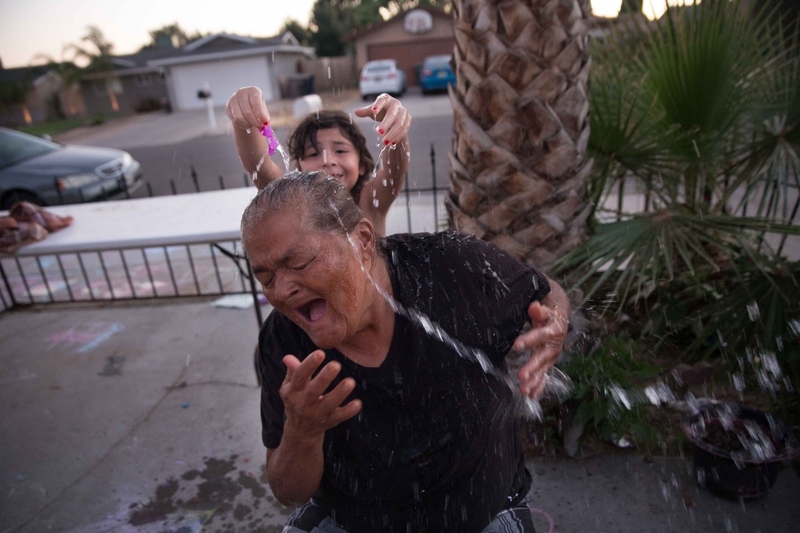 With water as an increasingly scarce resource in the Valley, resident's like the Garcia's face an uncertain future. 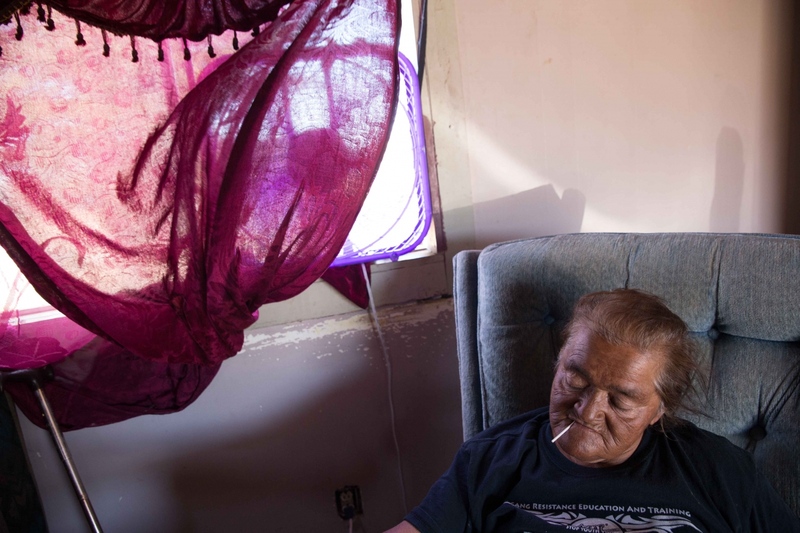 This photo essay is part of Dreams of Dust, a long-term documentary project. 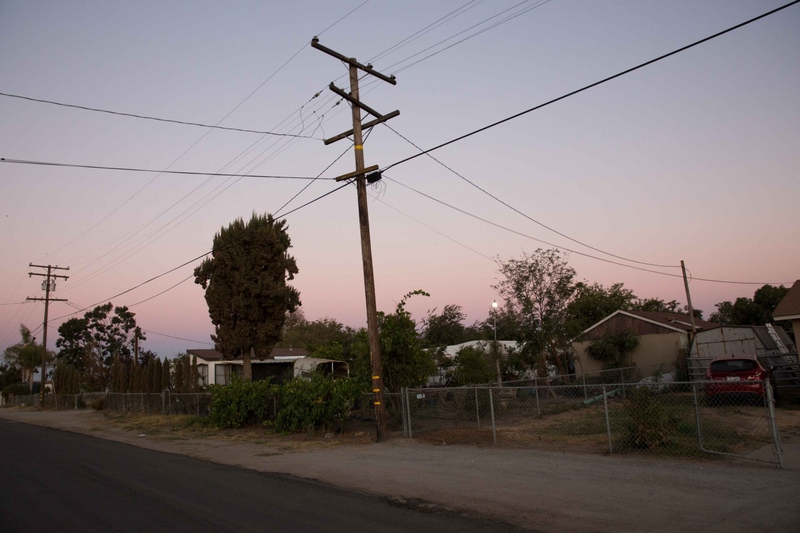 Dreams of Dust is about a present-day climate migration as people begin to move away from their homes due to the California drought. 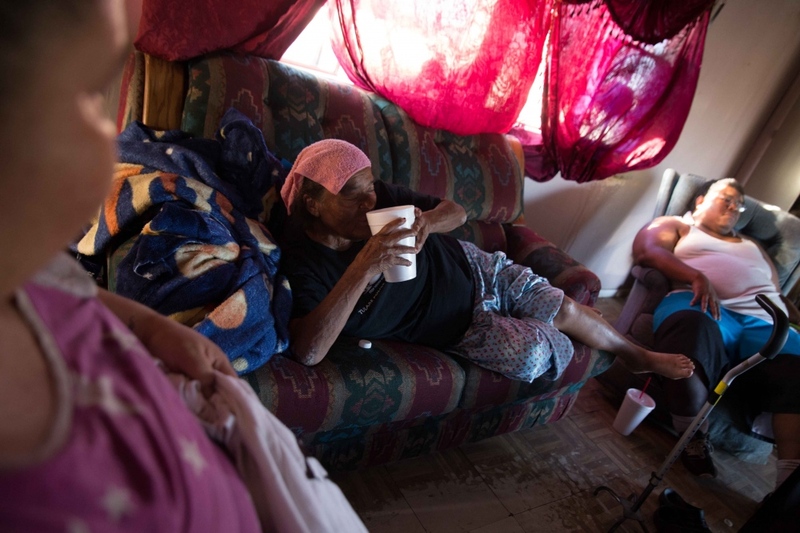 The project will document stories of migration as well as stories about the inability to migrate. 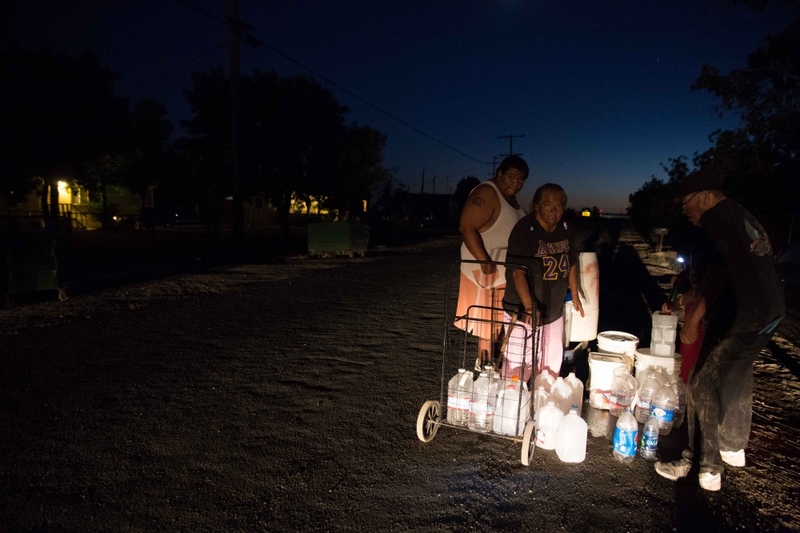 It explores how the drought is impacting communities in the state’s Central Valley and specifically how it has placed stress on areas that have had an inadequate or unstable water sources for years. 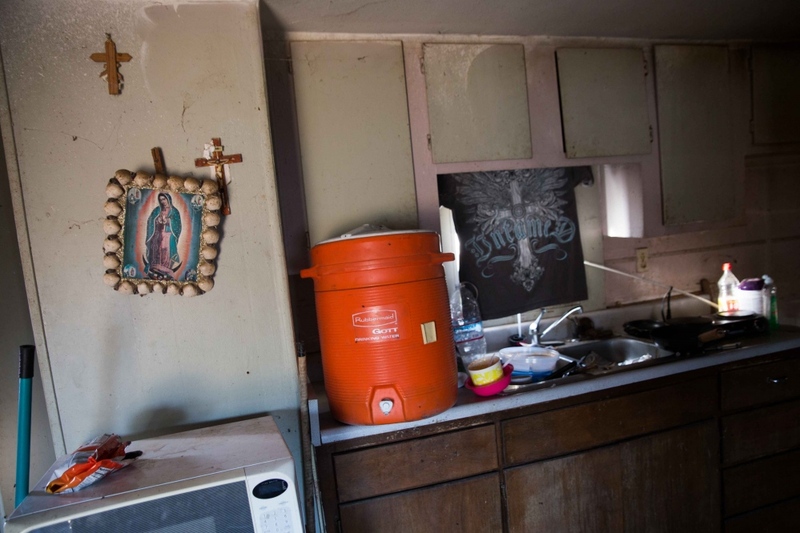 Still in progress, the project will focus on the reasons why these communities have been unstable to begin with, how the drought is leading to further instability and migration within and out of the Valley, and what will happen in the future if the area continues to become drier and drier – as is predicted in years to come.